Agents have been wondering just how wide-spread the impact of the new mortgage rules will be, and one leading economist has crunched those numbers in his assessment of the new stress test requirement. “The spring 2015 report by Mortgage Professionals Canada found that on average home buyers borrow 76% of their approved mortgage amounts,” Will Dunning, chief economist with Mortgage Professionals Canada wrote in his report, Slamming on the Brakes: Assessing the Impacts of Changed Criteria for Mortgage Qualification. “For first-time buyers the figure is 81% … thus, if the maximum approvable mortgage loan was equal to about 5.5 times income, the average first-time buyer would obtain a mortgage at 4.5 times their income. 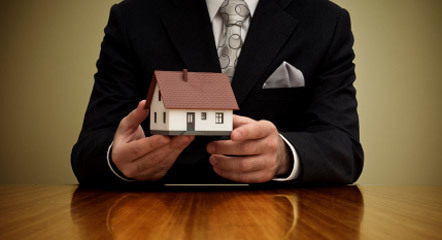 However, 60% of first-time homebuyers borrowed 80% of more of their approved amounts and, under the qualification standards – which now require buyers who take out an insured mortgage to qualify at the posted rate, currently at 4.64% -- many would not have qualified for the home they ultimately purchased. Crunching the numbers of those who would be impacted is difficult due to a lack of strong data, according to Dunning. To properly assess the impact, we would need to know the number of applicants who weren’t tested against the posted rate but would now be required to. We would then need to know what percentage of these people would now be unable to purchase under the new regime. Still, Dunning does draw some conclusions by looking at which buyers would be most impacted – those taking out high ratio mortgages and those taking out portfolio-insured mortgages. 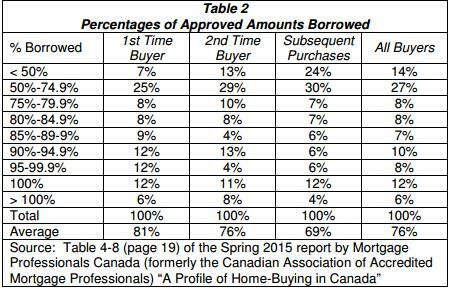 • From the Mortgage Professionals Canada survey (spring 2015) we can infer that up to 60% of first-time buyers will be unable to complete the purchase for which they would previously have been qualified. Some of these will make adjustments and still be able tobuy; some will be removed from the market. • Some low-ratio buyers will be removed from the market. • An opinion estimate is that one-quarter to one-third of home buyers will have previously been tested on their actual rate but will now be tested on the posted rate. • A further opinion estimate is that among this group, one-quarter to one-third will be removed from the market. • Combining those two factors, the expectation is a 6-10% reduction in housing activity.